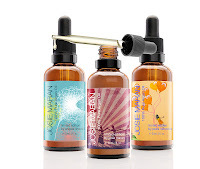 Josie Maran has collaborated with model friends, Petra Nemcova and Angela Lindvall to design limited edition Josie Maran 100% pure Argan oils. Josie collaborated with models Angela Lindvall and Petra Nemcova, to personally create artwork for the bottles to reflect the theme of the charities they support, including Women for Women International, (Josie's design), the Happy Hearts Fund, (Petra's design) and Healthy Child Healthy World, (Angela's design). You can read more about The Model Citizen Campaign on her website. For every bottle of Limited Edition 100% Pure Argan oil sold, 10% of the purchase price will be donated to a cause of the designing model’s choice. Argan oil is a rare, precious oil that only grows in Morocco. It's rich in Vitamin C and essential fatty acids which make it an amazing hydrator for face, body and hair. This amazing oil smooths skin, clears up acne and reduces acne scarring, minimizes fine lines and winkles, restores elasticity to skin and hair, reduces inflammation and gives skin back that dewy, fresh glow! So why not get the amazing benefits of argan oil with a beautiful label and give back to charity at the same time. I can't think of a better gift for Mother's day. You can get the limited edition Model Citizen Argan oil in Sephora stores for $48 and online at www.josiemarancosmetics.com, www.sephora.com and www.amazon.com. You can follow her on her facebook page here. If you live or will be in the LA area on Saturday, April 28th, Josie Maran will be launching her limited edition “Model Citizen” Argan Oil Collection at Sephora South Coast Plaza, in Costa Mesa, CA. So if your in the area, go out support the Model Citizen Launch and meet Josie!